Four members of a family suffered burn injuries in a fire at a house in the city's Kalyanpur area on Wednesday night. The victims are M Abdul Malek, 35, his wife Rina Begum, 30, their 11-month-old daughter Afrida Akhter Fatema and Rina's sister Arju Begum, 28, UNB reports. 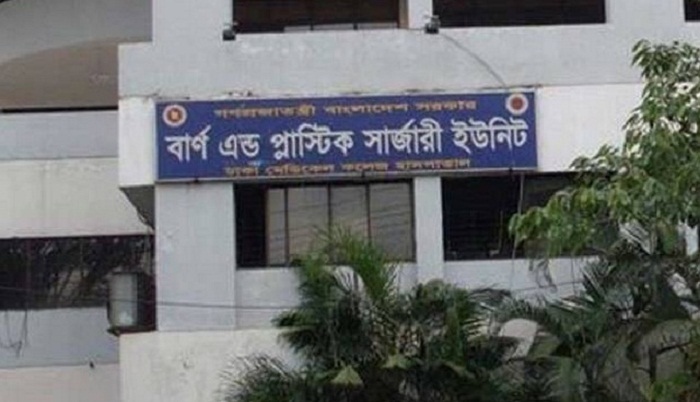 Sub-inspector M Bachchu Miah of DMCH police camp said the fire originated on the 3rd floor house of a five-storey building from the kitchen around 9pm. Three of the injured were taken to the burn unit of Dhaka Medical College Hospital. Of them, Arju suffered 85 percent burns on her body while Fatema 47 percent.